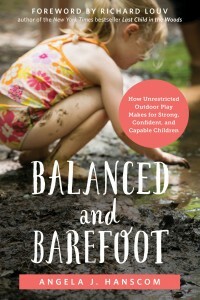 TimberNook is an outdoor program that offers all children therapeutic benefits through creative outdoor play. 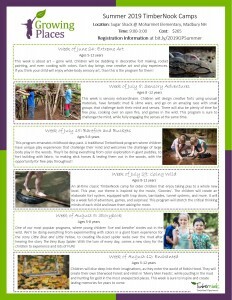 Our programs integrate sensory experiences, imagination, and nature. We inspire kids to play, learn, and explore through stories, games, and unique experiences. We provide TimberNook programming in the beautiful woods and trails surrounding the Sugar Shack at Moharimet Elementary School in Madbury, NH. 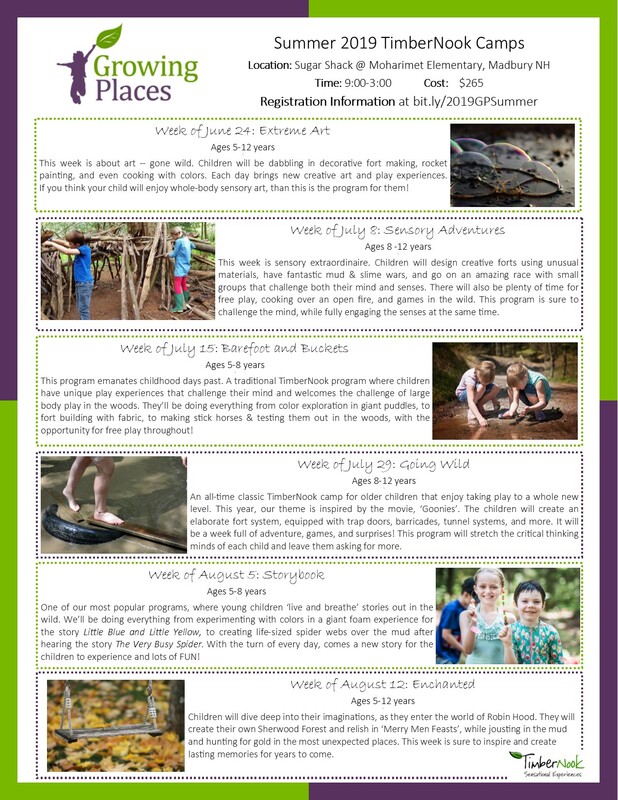 Click on the image to the left to discover what TimberNook programming we are offering for the Summer of 2019! Click here to read our observations as a TimberNook provider! 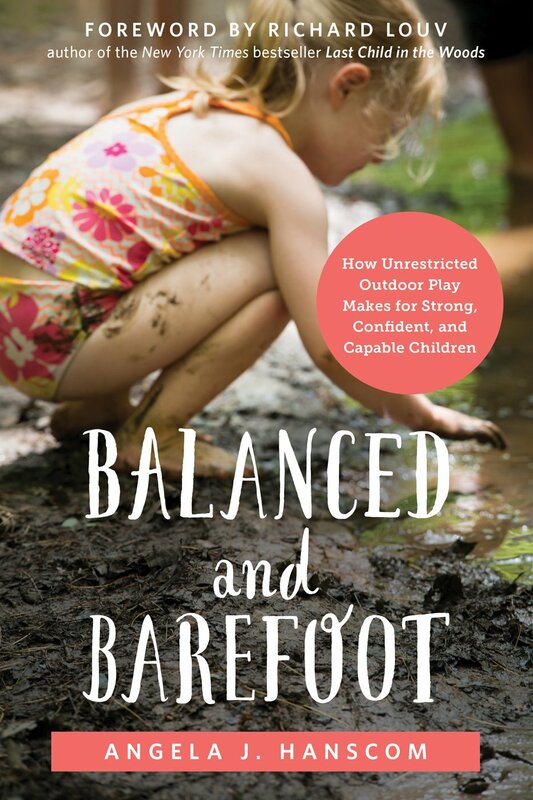 Balanced and Barefoot, written by the founder of TimberNook, Angela Hanscom, dives into the importance how ‘outdoor play and the unrestricted freedom of movement are vital for children’s cognitive and physical development and growth’. Readers will also find tons of fun, engaging ways to help ensure that kids grow into healthy, balanced, and resilient adults. CLICK HERE TO FIND OUT WHY THIS BOOK IS A MUST READ and WHERE YOU CAN PURCHASE IT!